Trainer Chris Munce is hoping gear changes on feature race runners NIKITAS and CHAMP ELECT will prove a positive move at Doomben tomorrow. NIKITAS, who lines up in the Listed Recognition Stakes (1350m), will swap blinkers for a cross-over nose band in an attempt to help him settle better than last start when he over raced on the speed at the Sunshine Coast. In the Listed Fillies and Mares Classic, CHAMP ELECT will wear a tongue tie for the first time in what marks her first-up assignment since May. TRAINER COMMENTS: "He's drawn beautifully in barrier 2 and he's starting to get out to a more comfortable distance out to the mile. I'm hoping Jimmy is able to take advantage of the barrier and not get as far back as last start but we'll leave it up to him where he's comfortable. 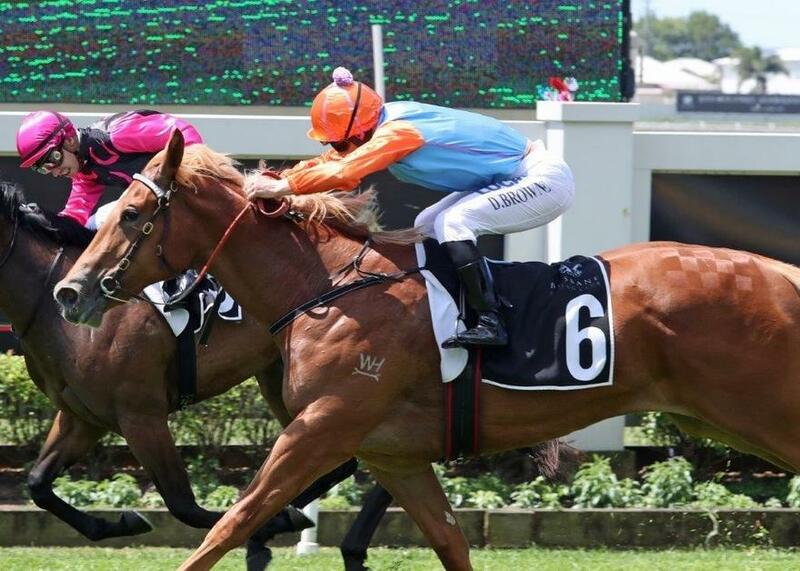 If he can get into his rhythm around Doomben, I'm hoping he can run a much improved race for us." TRAINER COMMENTS: "It's a similar field to what she was in two weeks ago at the Sunshine Coast so there's no reason she can't run a nice race for us again. I'll leave it up to Ronnie Stewart where she settles in the run. She's done very well since her last run and looks terrific." TRAINER COMMENTS: "He has drawn well and this looks like a nice race to kick him off in. We're looking forward to seeing him return to the races." TRAINER COMMENTS: "It’s a very strong Fillies and Mares Listed race. She’s had the three trials going into it so I feel she’s had enough grounding to go to the races and race competitively. Obviously she’s lacking a bit of race fitness after being off the scene for a very long time but I can’t do much more with her and she’s ready to go to the races. I’d say there will be good speed in a high pressure race. We’re experimenting with a tongue tie, which she’s galloped in and Larry is happy to leave it on. Whatever she does on Saturday she will improve on." TRAINER COMMENTS: "I've been very happy with him since his last run at Caloundra, I thought that he over-raced with the blinkers on when he was up on the speed and it was only the last little bit that his condition ran out. He's got the blinkers off and a cross-over nose band on so from the awkward draw, we'll ride him quiet and hopefully Ronnie can find the back of the right horse and hit the line strongly." TRAINER COMMENTS: "I've elected to go to the Gold Coast as I think the 1400m is a bit more suitable than the 1200m at this stage of her preparation, and being on the minimum in a small field gives her a good opportunity to utilise the light weight and roll forward. Nathan Day knows her well and she looks a picture of health, she's worked very nicely since her last start defeat at Ipswich. If she can control the race from the front I expect her to kick strongly and be very hard to beat for us."